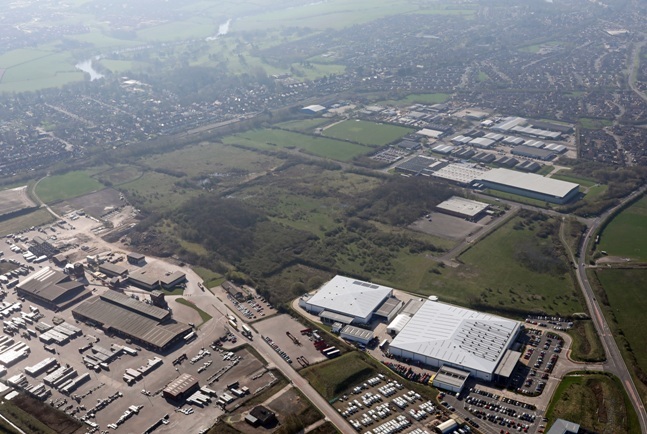 Leeds-based property consultancy Dove Haigh Phillips (DHP) has been appointed to market the 65-acre Durham Lane Industrial Park at Eaglescliffe in Teesside. The park, which has outline planning permission for industrial and warehousing development, is owned by development and investment company Hansteen. Simon Dove, partner with DHP, said: “This is a prestigious appointment for us. Durham Lane is an industrial and employment park with tremendous potential, with the capacity to create up to 600 jobs. “At the same time, the development has access to a vast and experienced labour pool and is close to global industry leading businesses like Tata Tetley, Carroll and Meynell and Nifco. Our aim is to see the land developed to its full potential, creating cost-effective, brand-new business premises with a variety of uses. “The sizes of these new premises will vary and depend on demand. We will be very flexible in fulfilling occupiers’ needs,” added Mr Dove. The development has the full backing of Stockton Borough Council.